Since the late 19th Century, dentists have used established protocols to successfully prevent and treat tooth decay. But there've been changes to this approach the last few years to improve its effectiveness, changes we now refer to as Minimally Invasive Dentistry or MID. The older approach for treating dental caries (tooth decay) follows the protocols established by Dr. G.V. Black, considered the father of modern dentistry. Black advocated removing not only decayed structure but also some of the healthier but vulnerable portions of a tooth, to avoid further decay and make the tooth easier to clean. This resulted in larger fillings, although they've become smaller as dental techniques have advanced. MID, on the other hand, aims to remove as little tooth structure as possible while still effectively treating and preventing future decay. To achieve that goal we begin first with a complete assessment of a patient's individual decay risk, known as Caries Management By Risk Assessment (CAMBRA). With CAMBRA, we're looking at other factors besides individual tooth health: a patient's hygiene, lifestyle and dietary habits; the types and amount of bacteria present; and the quality of saliva flow, needed to neutralize mouth acid. With these the results we develop a customized prevention and treatment strategy. MID also focuses on detecting dental caries as early as possible. Besides traditional x-rays, we're beginning to use other methods like dental microscopes, laser fluorescence, infrared photography or optical scanning. Early detection leads to early intervention, and with techniques that are much less invasive than the traditional approach. The new approach also changes how we repair decayed teeth. We're increasingly using air abrasion, a technology that uses fine particles in a pressurized air stream to remove softer decayed tooth material and less healthy structure than the traditional dental drill. We're also using composite resin and other advanced materials for filings: these tooth-colored materials are stronger than previous versions and are quickly taking the place of metal amalgam, requiring less structural removal to accommodate them. MID's core principles are early disease detection, proactive prevention and treatment with less structural removal. With this enhanced approach to effective dentistry, we're keeping your teeth healthy with minimal discomfort, lower costs and less long-term impact. If you would like more information on the benefits of the MID approach, please contact us or schedule an appointment for a consultation. From the moment your child's first tooth appears, usually between six and nine months, you need to be concerned about Early Childhood Caries (ECC). This particular form of tooth decay can have a devastating effect on primary (baby) teeth and lead to their premature demise. Losing one before its time could adversely affect how the future permanent tooth comes in. You can help prevent ECC with daily brushing and cleaning, regular dental visits (beginning around their first birthday) and limiting the sugar they eat. Here are 3 more things to consider for boosting your prevention efforts. Breastfeeding. Pediatricians generally recommend breastfeeding if possible for a baby's overall health, including dental development. And although breast milk contains fermentable carbohydrates that boost bacterial growth, it no more promotes tooth decay than similar foods and beverages. That said, though, once the child begins to eat and drink other foods and beverages, the combination of sugars in them and breast milk could increase the bacteria that causes ECC. This is another good reason to wean the child from breast milk as they begin to eat more solid foods. Bottles and pacifiers. It's quite common for parents and caregivers to soothe a fussing or crying baby with a bottle filled with formula, milk or juice for sipping, or even a pacifier dipped in jam, sugar or some form of sweetener. But these practices can create an environment that promotes high acid production from bacteria feeding on the sugars. Instead, avoid giving them a “prop-up” bottle filled with liquids containing sugar and try to limit bottle use to mealtimes. And provide them pacifiers without sugary additives if you use them. Medicines. Children with chronic illnesses or other needs often take medication containing sugar or with antihistamines that reduce the flow of acid-neutralizing saliva. If the medications can't be altered, then it's extra important for you to practice diligent, daily hygiene to reduce the effect of higher mouth acid. Cavities can happen even before a baby has his first piece of candy. 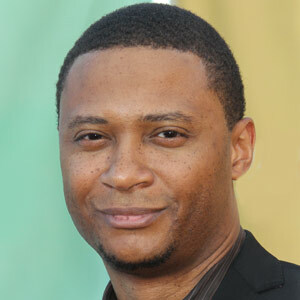 This was the difficult lesson actor David Ramsey of the TV shows Arrow and Dexter learned when his son DJ’s teeth were first emerging. “His first teeth came in weak,” Ramsey recalled in a recent interview. “They had brown spots on them and they were brittle.” Those brown spots, he said, quickly turned into caviÂ­ties. How did this happen? Ramsey said DJ’s dentist suspected it had to do with the child’s feedings — not what he was being fed but how. DJ was often nursed to sleep, “so there were pools of breast milk that he could go to sleep with in his mouth,” Ramsey explained. While breastfeeding offers an infant many health benefits, problems can occur when the natural sugars in breast milk are left in contact with teeth for long periods.Â Sugar feeds decay-causing oral bacteria, and these bacteria in turn release tooth-eroding acids. The softer teeth of a young child are particularly vulnerable to these acids; the end result can be tooth decay. Wipe your baby’s newly emerging teeth with a clean, moist washcloth after feedings. Brush teeth that have completely grown in with a soft-bristled, child-size toothbrush and a smear of fluoride toothpaste no bigger than a grain of rice. 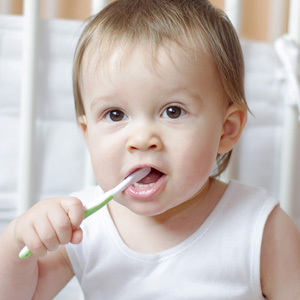 Start regular dental checkups by the first birthday. Fortunately, Ramsey reports that his son is doing very well after an extended period of professional dental treatments and parental vigilance.